Silvio is one of the City of Casey’s most well-regarded business leaders, who’s heavy involvement in the local community never goes unnoticed. Silvio has a passion for Highview, sport, the community and for helping individuals and business owners (no matter the size or industry) flourish financially. Silvio’s a qualified accountant and Registered Tax Agent. He has 25+ years of experience advising clients on solutions to minimise their tax and create wealth. In particular, he has a keen interest towards property investment and Self- Managed Superannuation Fund advice (his area of expertise!). Being personally passionate about the need to invest to plan for a comfortable retirement, Silvio became a qualified Financial Planner – he enjoys easily ‘switching hats’ between taxation and financial planning strategies – and believes it’s a unique skill that benefits his clients greatly – who better to offer financial advice than your Accountant?! Coupling his 25-year career as a business owner and adviser, Silvio enjoys sharing his insights and nurturing businesses to become the best they can be. Silvio’s love for sport took a natural progression, in 2017 he became an authorised Player Manager, with a goal of supporting Sporting Athletes with their holistic taxation and financial plans and building their sporting profiles, so they have the time to focus on what they’re great at – playing sport! Supporting the local community that’s always supported Silvio is something he’s unwavering on. He supports over 15 grass-roots local sporting clubs each year, and is on various community boards. Importantly, Silvio sets himself personal fundraising goals for charities each year, in the past 2 years he has raised over $19,000 for the Alannah & Madeline Foundation. 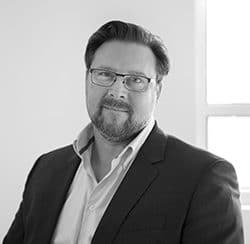 13+ years passionately working with businesses of all sizes & industries has seen Darren become a highly sought-after business mentor & tax expert. 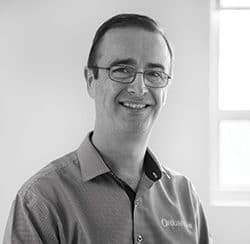 Darren Crowther is a Certified Practising Accountant (CPA), with a degree from RMIT University; Bachelor of Accounting. With over 15 years accounting experience he has the knowledge and expertise to offer his clients a complete financial solution – in every sense of the words! 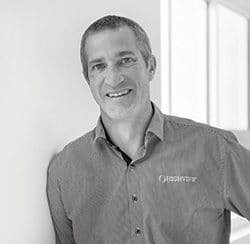 Darren is a member of SPAA (Self-Managed Super Fund Professionals’ Association of Australia) – he is passionate about his industry, always taking any opportunity he can to further his knowledge and understanding. His technical knowledge is one of his key strengths. Darren enjoys getting to know his clients, and takes pride in ensuring he consistently offers them the best service and advice when it comes to taxation. Darren is a true team player, and is proud to be a Partner of Highview Accounting & Financial. His ambition and dedication to his clients is what makes him so successful in his role. He truly offers ‘red carpet’ service to each and every one of his clients. Father of 2 young boys, Darren’s favorite thing to do is spend quality time with his family. Darren’s technical knowledge and ability to form and build excellent working relationships is evident when speaking with his clients. The trust they have for him is second-to-none, and he values each and every business relationship he has. In response to changes to legislation, Darren has completed his training and appointment as a Limited Authorised Representative, able to assist in the setup, administration and wind down of SMSFs. Facilitating businesses to grow & evolve is Dave’s passion. His strength is building great relationships & supporting his client’s journeys to success. Dave is a Certified Practising Accountant (CPA), with a Bachelor of Business from Monash University. His experience spans across 15 years in the accounting, taxation, financial analysis and general business practice. 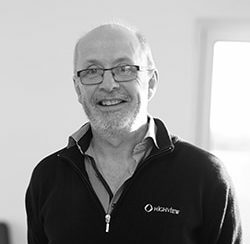 Dave brings knowledge and experience to the Highview team, gained from working with a range of firms and mentors. Interestingly, this is not the first time Dave has been a part of the Highview team; Dave worked for Highview in the early 90’s while still completing his accounting studies. After a few years Dave ventured out to expand his experience – and to Highview’s benefit re-joined the team as a senior manager in 2014, bringing with him a vast bank of knowledge and management experience. Dave’s experience includes an international stint in the UK. It was during this time that he seized the opportunity to expand his knowledge on the workings of big organisations by taking on roles with multinational corporations. Dave’s previous role as a Client Manager has enabled him to demonstrate the skills and passion for providing business services; including advice, accounting and taxation services to his clients, and a yearning for continual improvement. He enjoys playing sport, listening to a range of music, surfing and spending time with his wife and children. Dave spends his weekends socialising with friends and his family, visiting areas and events around Melbourne and working on the wish list of improvements he has around his home. Today Dave’s passion is in facilitating businesses to grow and evolve. Dave’s focus is on acting in the role of business mentor to help clients develop the full potential of their business. In this role Dave joins clients on their unique journey and provides the tools and knowledge they need along the way to make the right decisions. Dave’s aim for his clients parallels his own philosophy and personal journey; having a focus on his own career growth and business success while maintaining balance in his life with his wife and children. In response to changes to legislation, David has completed his training and appointment as a Limited Authorised Representative, able to assist in the setup, administration and wind down of SMSFs. Highview was Nick’s first employer. 15 years on has seen passion, hard-work & an unrivalled focus towards client satisfaction project his career to Associate Partner. Nick has been with Highview for over 10 years. Joining the team initially to complete his work experience component while in Year 10, and then, simply never left. 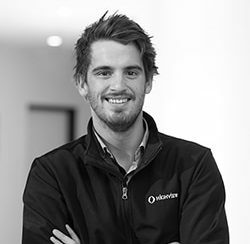 Nick has gone from strength to strength over the years and is a powerful asset to the Highview team. 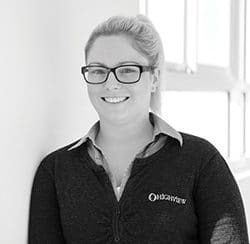 When asked ‘What’s your favourite part of the job?’ Nicks response was; “Achieving a desired result for a client – when you work with a client who has a goal and assist them along their way to achieving the goal. You get a great deal of satisfaction when the desired result is achieved and the client is reaping the rewards. Nick is a true team player, and an excellent leader. His knowledge and ability to provide clarity to clients surrounding technical information and advice comes naturally to Nick. Clients enjoy their interactions with Nick and often say that he’s purely and simply an “all round good bloke who knows his profession”. Guiding and supporting clients and forming long term relationships built on trust and reliability remain at the core for Nick. He is eager to continually learn and grow as a professional, build on his experience, and broaden his areas of expertise over time. In response to changes to legislation, Nicholas has completed his training and appointment as a Limited Authorised Representative, able to assist in the setup, administration and wind down of SMSFs. Peta began her career as an Accountant, and ran her own successful business before moving into her Practice Manager role at Highview. 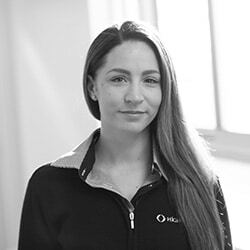 Highview welcomed Peta Iliopoulos to the team in late 2016, and oh what a time to join it was – right amid the epic office move of Cranbourne, she took it in her stride and managed the move project seamlessly. Peta has settled into the Highview family well and we feel like she’s been here since day dot. Therefore, we thought our clients should get to know the person who is often behind the scenes (the glue shall we say) keeping all things Highview together! Peta manages our staffing across all three offices, and works closely with the Partners to deliver effective Accounting and Administration procedures to improve our businesses efficiency and client service. Peta has worked in the Accounting Industry for almost 20 years. She started her Accounting career at Boyce Charted Accountants in Dubbo, NSW. After 6 years at Boyce, she went onto a Management Accountant role for a Subway franchisee with 14 stores. While doing this, she was also running three businesses with her husband Elias – a gun shop, an aquarium and a boar goat farm. To say that Peta likes multi-tasking is an understatement. Peta moved to Melbourne just after her first child George was born in 2008, taking on an Accounting role at a Berwick firm. Additionally, to expand on Peta’s experience she then managed the accounts and HR for a bakery business prior to commencing as Highview’s Practice Manager in 2016. Peta is a busy full time working Mum, so every weekend for her is about quality family time. She has two children (George 9 & Sophie 6) who keep her and her husband extremely busy – between sports, music, dancing and birthday parties the weekends are jam packed. Peta enjoys being outdoors, going for walks, to the beach or out on her boat. Her family are all animal mad and she describes her home as ‘a little menagerie’ so there is always something to keep them occupied. During the quieter winter months, Peta loves to spend her time cooking and curling up with a good book. Previously ranked in the Top 50 Master Class Honour Roll by the Australian Financial Review Smart Investor, Bruce has his clients’ best interests at heart. Bruce Chisholm is a qualified accountant and financial planner with a Bachelor of Business and a Diploma in Financial Planning. Bruce is a member of the Financial Planning Association (FPA), Australia’s leading professional community of financial planners. As a CERTIFIED FINANCIAL PLANNER® professional, Bruce has gone one step further to achieve the highest qualification in financial planning worldwide. Bruce’s knowledge was recognised in 2013 when he was ranked in the Top 50 Master Class Honour Roll by the Australian Financial Review Smart Investor. With over 14 years of experience advising clients together with prior accounting and management experience, Bruce has the competence and expertise to develop, implement and manage transformational strategies to give you the security and peace of mind that comes from being prepared for the future. Bruce is passionate about the positive difference trusted and credible advice can make to clients’ lives, by working with them on an ongoing basis. 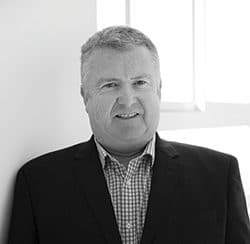 Bruce has significant experience assisting a broad range of clients including those with self-managed superannuation funds and complex structures and has specialised in retiree and pre retiree clients. Outside of work Bruce enjoys spending time with his family and enjoying the lifestyle offered by living on the Mornington Peninsula. Andrew is widely regarded in the local business community & has 30+ years’ experience in finance & banking within large banking corporations. Andrew’s wealth of experience and knowledge spans over 25 years’ in the banking and specifically lending industry. He started his banking career locally at the Westpac bank in Cranbourne where he progressed to Branch Manager at Westpac Cranbourne and other locations. Furthering his expertise, he went on to work in a National Sales role with global bank HSBC before venturing out to set up his own Mortgage Business in 2004. Andrew formed a partnership with Highview in 2010 joining the team to assist Highview’s clients with all forms of loan solutions. His expertise has enabled Highview clients to get well-rounded informed advice, that is tailored to their specific financial needs. Andrew assists clients to choose the right loan product from Highview’s range of reputable lenders and strive to get the best rate and loan options possible. Andrews industry experience and knowledge makes what can be an arduous process one that is simple and easy. Using Andrews service’s and skill will give you confidence that the research has been thorough, and you’re getting the most suitable loan option for your circumstances. Types of lending Andrew can assist with includes home loans (investment, owner occupied including construction), business vehicle and equipment (chattel mortgages) and business finance. Additionally, an important specialist service that Andrew can assist with is refinancing – which is simply the process of replacing your current mortgage deal with a new one. Highview recommends all clients revisit their finance regularly, as refinancing can knock thousands of dollars off total mortgage costs and years off a loan term. This gives clients the opportunity to own their home or investment property sooner – for less! Andrew holds a Financial Services Licence and direct accreditations with 20 different lenders. With a large number of options available the aim of this service is to deliver loan solutions that suit the client’s needs not just the bank’s needs. Andrew has always been active in the Cranbourne community and is currently Vice Chairman of the Cranbourne Turf Club and also a life member of both the Cranbourne Football Club and Cranbourne Meadows Cricket Club. Michael has over 25 years’ experience in insurance & prides himself on finding the ‘right fit’ for his client’s individual needs. 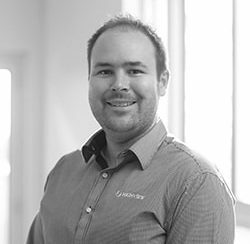 Michael is our most recent specialist joining the Highview team in 2017, although has been working alongside the business as a trusted referral partner for many years. Michael has lived and breathed insurance for most of his professional life. Following his fathers’ footsteps into the industry, Michael completed his formal qualifications, secured employment within large corporate firms gaining over a decade of invaluable experience before starting out on his own in 2008. With over 25 years’ experience working with SME business, and being a business owner himself, Michael is perfectly positioned to understand what businesses want and need when it comes to adequate insurance. Utilising the services of a broker leaves nothing to chance when it comes to the fine print of your insurance policy. You will know exactly what your covered for with no ambiguity – only quality insurance options from reputable companies are put forward to Highview clients. 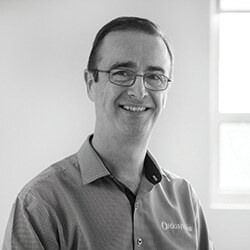 Michael provides insurance policy options that are thorough, and uniquely individualised to client’s needs. Having the confidence that everything is accurately covered is invaluable when things unfortunately don’t go to plan – that’s the Highview difference. Outside of work Michael spends most weekends ferrying his three children around to various activities. In his moments of free time he is a keen sailor and strong North Melbourne fan and loves getting away on camping weekend in the bush. Michael enjoys meeting new people and particularly thrives on providing small businesses solutions to their business risks. We are very proud to say that Michael was included in the list of Elite Brokers by Insurance Business Magazine in both 2015 and 2017 – a title that is awarded each year to the top 30 General Insurance brokers around Australia. Matthew is highly regarded in the Highview community & brings a high-level proactive strategic approach to meet his client’s needs. 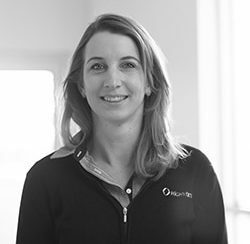 Melissa brings over 15 years of technical accounting experience & her attention to detail is unrivalled. 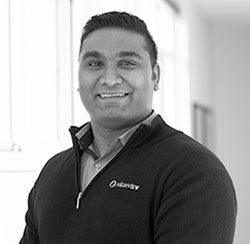 Passionate about positive outcomes & helping businesses thrive, Avi commenced his accounting career at Highview in 2014. 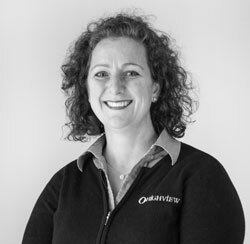 A Highview team member for almost 10 years, Carlia oversees large client accounts & has excellent professional relationships built on long term earned trust. Michael has almost 10 years’ experience supporting businesses with their taxation, strategy & compliance needs. A strong commitment to seeing his clients grow & succeed is Adam’s driving passion behind his career. 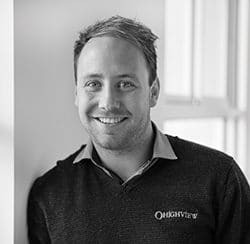 One of the young guns of Darren Crowther’s team, Adam Pasquill has worked in the Accounting Industry for almost 5 years. 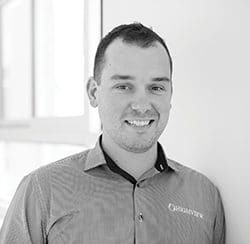 He started his career at an Accounting and Advisory Firm in Frankston as a Graduate Accountant and Financial Planning Assistant, before joining the Highview family. Currently two thirds of the way through his CPA Accreditation, Adam is excelling in his post graduate studies and is striving to have his CPA completed by mid-2019. Adam has a contagious and ambitious nature about him that drives his desire to face new challenges each day at work. He says that best aspects of working for Highview is not only the amazing supportive and friendly environment, but the fact that he is given the opportunity to utilise his strengths and build upon his skill set every day. “What I love most is that each client I take on becomes my responsibility. I am passionate about helping, developing and delivering great results to all of my clients”. At Highview Adam works within Cranbourne Partner Darren Crowther’s team. Underneath Darren’s expertise and guidance, Adam is empowered to individually manage his own client work. He’s confident in the processing and decision making of his portfolio, and enjoys working collaboratively within his team being closely guided by Darren. “I love it here at Highview, we can all draw upon each other’s strengths. We face many unique challenges in our industry so it’s beneficial we work together and learn from one another’s experiences”. Adam is eager to continue to grow a strong client base, and whilst doing his CPA is in a great position to expand his current knowledge in contemporary and internationally relevant material to enable him to provide dynamic solutions for his clients. 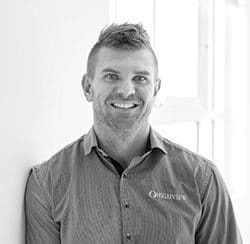 Perhaps not your typical Accountant, Adam is an extremely outgoing and sporty guy who loves the gym and plays for the local Frankston Bombers Football Club. For those who know Adam well would have definitely witnessed his infectious enthusiasm for travel, with his most recent trip to Cambodia and Vietnam being in June 2018. Adam is also a proud Uncle, and is a big softie when it comes to spending great amounts of time with his young niece and two little nephews. 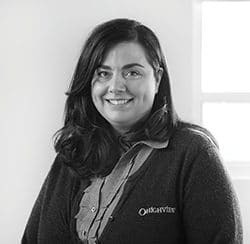 Claryssa joined Highview in 2018 & is an experienced Accountant who’s worked with businesses of all sizes from many industries & sectors. 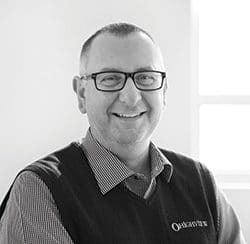 Tony is responsible for leading & driving our administration processes & procedures at our Cranbourne office. His dedication to excellent client service is unsurpassed. Brodie is a strategic marketing specialist whose passion lies in branding & communication. Having worked in large corporations & not-for-profit, she’s got the entire marketing mix covered. An experienced marketing strategist who’s worked for many large private Businesses, Monash University’s Business & Economics Faculty as well as Holmesglen Institute of Tafe, Brodie has experience managing national marketing teams within the education, government & private sector for 8+ years. Brodie joined forces with her husband Darren Crowther, CPA & Partner of Highview Accounting & Financial in 2012, and is proud to lead the Highview marketing & communications team in this ever successfully expanding firm. Branding is in Brodie’s DNA. Her passion lies in solidifying strong long term professional brands which she couples well with her deep experience in strategic planning, event management, positioning and go-to-market strategies. “Over the past ten years I’ve worked with agencies, businesses, government organizations and nonprofits in healthcare, education, entertainment and retail segments. I thrive when helping businesses improve their marketing and brand management” says Brodie. Brodie’s specialties include: Lead Generation, Marketing Automation, Sales Operations, Event Management, Product Marketing, Service Marketing, Strategic Planning, Brand Design, Social Media, Digital Marketing, Website Design, Channel Marketing, Market Research, Content Writing & Public Relations.